4.3 本場の案内放送: サンフランシスコ湾岸鉄道 (BART) - dutcheez’s Fun with English! 到着案内 (8:51): Next stop: San Bruno, transfer point, San Bruno. Passengers bound for San Francisco International Airport, offboard, wait at the arrival platform for the next San Francisco Airport train. San Bruno station. 到着時 (9:11): Millbrae, Millbrae Caltrain Station train. San Francisco Airport passengers, wait at the platform. (自動音声) The doors are closing. Please stand clear of the doors. 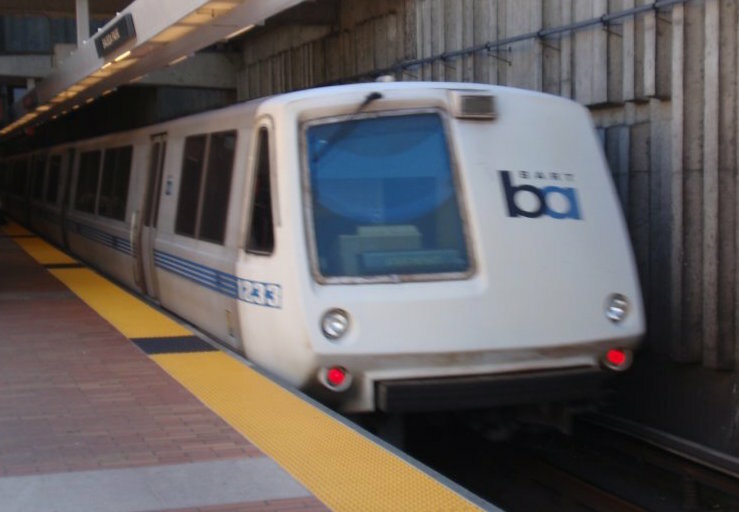 Once again, all passengers bound for San Francisco Airport, you must offboard, wait at the arrival platform for the next San Francisco Airport train. 到着案内 (12:52): Next stop is Millbrae, Millbrae Caltrain Station. This station is begin of the line for this train. This train will be returning to Richmond momentarily, once again making all stops to San Francisco. For passengers heading southbound on Caltrain towards San Jose, that train departs from platform number 5. Southbound Caltrain passengers, you must go upstairs, exit the fare gate, across the station and back down to platform number 5, for southbound service for Caltrain. The destination for this train is now Richmond. San Francisco / Richmond train.